Best Easy Day Hikes Carlsbad Caverns and Guadalupe Mountains National Parks includes concise descriptions and detailed maps to the best short hikes in two of the southwest’s most beautiful and popular national parks. 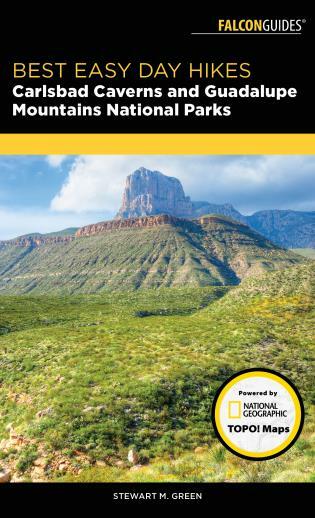 This book is perfect for families and individuals looking to take their national park trip to the next level. Stewart M. Green is the author and photographer of numerous FalconGuides, including Best Hikes Near Colorado Springs, Scenic Driving Arizona, Scenic Routes & Byways Colorado, and Rock Climbing New England.